(Vancouver, BC) – 2010 has been a golden year so far. First it was the euphoria of the Olympic Games and now it is the turn of the 2010 Edgewater Casino Chinese Restaurant Awards (CRA) to award Gold and Silver for the Best Signature Dishes at an awards ceremony held today at the Edgewater Casino’s Stadium Club. “Interest in the Chinese Restaurant Awards has grown by leaps and bounds since its inception last year. In February, the world’s most prestigious travel publication, Condé Nast Traveler, announced what we all thought possible – that Metro Vancouver has the best Chinese food in the world. That’s fantastic news for our local Chinese restaurants to be recognized as the world’s best,” says Craig Stowe, CRA Founder and Director. The CRA are divided into two components: The Critics’ Choice Signature Dish Awards and the HSBC Diners’ Choice Awards. The Awards announcements were split up for 2010 to accommodate the Olympics with the HSBC Diners’ Choice Awards being announced last November and the Critics’ Choice Signature Dish Awards announced today. This year’s Critics’ Choice Signature Dish Awards turned out to be a neck and neck race between Vancouver and Richmond. Richmond restaurants ‘own the podium’ with a total of 24 awards (10 Gold, 14 Silver) while Vancouver has done itself proud with 19 awards and garnering the most Gold (12 Gold, seven Silver). Other areas of Metro Vancouver also were recognized with Burnaby restaurants winning three awards (two Gold, one Silver), Coquitlam restaurants winning two (one Gold and one Silver) and New Westminster taking a Silver. This year the panel has added a special Critics’ Choice Award of Excellence for Wine and Spirit Service, an area that is under-developed in many ‘traditional’ Chinese Restaurants. The inaugural award in this category is being given to Kirin Restaurant. The panel of judges, comprised of food professionals and journalists who possess a strong knowledge of Chinese cuisine, is chaired by Stephanie Yuen, well-known local Chinese food maven and food writer. It was Ms. Yuen who took Condé Nast’s Mark Schatzker on an eating tour of Metro Vancouver’s Chinese culinary scene resulting in the February feature article in Condé Nast Traveler – Canada Wins Chinese Gold. News of Mr. Schatzker’s culinary revelation has been reported in publications and web sites around the world. Rounding out the judging panel are: Brenda Lo, Vice-Chair (AM 1470), Nathan Fong (Vancouver Sun, Global TV), Margaret Gallagher (CBC Radio One), Conrad Leung (Dept. Head, Asian Culinary Arts, Vancouver Community College), Lee Man (Vancouver Magazine, EAT, Wine Access), Brendon Matthews (Vancouver Magazine, Urban Diner) and Iris Yim (Ming Pao Daily News). “All CRA judges understand the cooking methods, history and traditions of Chinese food,” says Ms. Yuen. “This is really important. 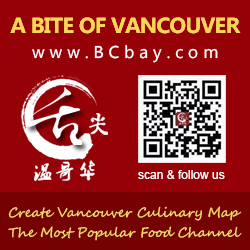 It creates a level judging field where they all share the same criteria.” Upon joining the panel, each judge receives a directory of the more than 400 Chinese restaurants in Metro Vancouver. By mid September, they have submitted three to five nominees for each category. Then all the judges go out and taste each other’s recommendations. The final judging goes on through to the end of December, when the judges meet for a round table dinner to vote on the 25 Gold and 25 Silver Critics’ Choice Signature Dish winners. The CRA also wishes to thank the following media partners and association partners for their support: CBC, The Georgia Straight, Fairchild Radio, CHMB AM1320, Ming Pao, World Journal, Klip Magazine, 818Channel, Edible-Britishcolumbia.com, Westca.com, Aperture Photography, Chinese Canadian Chefs Association and the Vancouver Multicultural Society.